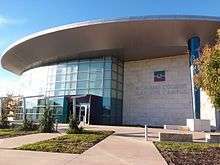 The Dallas County Community College District (DCCCD) is a network of seven community colleges in Dallas County, Texas (USA). It is headquartered at 1601 S. Lamar St. in Dallas. DCCCD serves more than 70,000 students annually in academic, continuing education and adult education programs. The Dallas County Community College District offers associate degree and career/technical certificate programs in more than 100 areas of study, including one- and two-year certificates and degrees. DCCCD is one of the largest community college systems in Texas. The Dallas County Community College District was founded as the Dallas County Junior College District in 1965, and became known by its current name in 1972. The first college, El Centro College in downtown Dallas, was established in 1966. Dr. Bill J. Priest served as the founding chancellor from 1965 until his retirement in 1981.
all territory included in the Carrollton-Farmers Branch Independent School District (a portion of which is in adjacent Collin County and Denton County). In addition to the system of colleges, DCCCD also has a large distance learning progrem that utilizes the internet and videoconferencing which serves more than 17,000 students annually, known as Dallas Colleges Online. DCCCD maintains an "open-door" admissions policy regarding new students, allowing many people to attend college who otherwise might not be able to do so. The Dallas County Community College District Board of Trustees consists of seven members who are entrusted with governing the district. The board defines the vision of the district, serves as a liaison between the district and the community, approves annual budgets and sets policies, among other responsibilities. Board members are elected officials who serve six-year terms without compensation. ↑ "Locations". www.dcccd.edu. Retrieved 2015-11-23. ↑ "Degrees, Certificates and Classes for Credit". www.dcccd.edu. Retrieved 2015-11-23. ↑ "Brookhaven College Data, Campus, Location, Stats | College Stats.org". collegestats.org. Retrieved 2015-11-23. ↑ "Cedar Valley College Data, Campus, Location, Stats | College Stats.org". collegestats.org. Retrieved 2015-11-23. ↑ "Eastfield College Data, Campus, Location, Stats | College Stats.org". collegestats.org. Retrieved 2015-11-23. ↑ "El Centro College Data, Campus, Location, Stats | College Stats.org". collegestats.org. Retrieved 2015-11-23. ↑ "Mountain View College Data, Campus, Location, Stats | College Stats.org". collegestats.org. Retrieved 2015-11-23. ↑ "North Lake College Data, Campus, Location, Stats | College Stats.org". collegestats.org. Retrieved 2015-11-23. ↑ "Richland College Data, Campus, Location, Stats | College Stats.org". collegestats.org. Retrieved 2015-11-23. ↑ "History of DCCCD". www.dcccd.edu. Retrieved 2015-11-23. 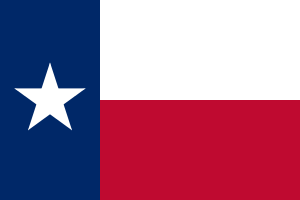 ↑ Texas Education Code, Section 130.176, "Dallas County Community College District Service Area". ↑ "About Us". online.dcccd.edu. Retrieved 2015-11-23. ↑ "Board of Trustees". www.dcccd.edu. Retrieved 2015-11-24.